Home » deBebians Fine Jewelry Blog » Which Finger Should a Promise Ring Go On? While the exact meaning of a promise ring depends on the couple, a promise ring is typically given to symbolize commitment. This could mean commitment to the relationship, commitment to each other as a couple or the promise that an engagement will follow. You can truly make a promise ring represent whatever you would like it to. Now comes the tricky part… Which finger to wear it on? Everyone knows that you wear your engagement ring on the ring finger on your left hand. Well, where is the correct place to wear a promise ring? Just recently a customer of ours purchased a promise ring. The style number of that ring was DWB-42 (shown above). 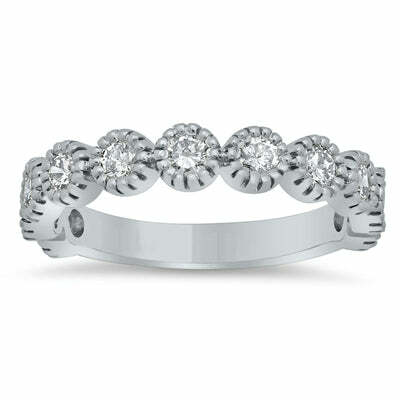 It’s a beautiful diamond wedding band with 0.75cttw of diamonds. After he gave it to her, she ended up wearing it on her right hand ring finger. My client was confused and didn’t know if the promise ring should be worn on her right wedding finger or her left wedding finger. Guess what he did? He went online and started looking up “What finger should a promise ring go on?” What do you think he found? He found a site that said she should be wearing the promise ring on her right hand wedding finger or the left hand wedding finger. Basically, there is no right or wrong here. A promise ring can be worn on any finger and can even be worn hanging from a necklace. 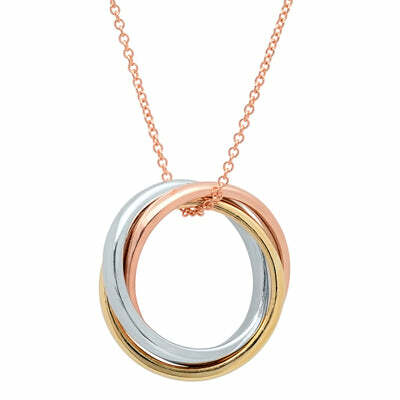 Below is a a great example of a promise ring that you can also wear as a necklace. When it comes to promise rings, there really is no right or wrong. A promise ring can symbolize whatever you want, you can wear it however you want and you can spend however much you want on it. If you need assistance, please do not hesitate to call on us. We have a wide selection of rings that could also serve as a promise ring.